Our team of experienced designers can help you with any type of enhancement projects you may be interested in, whether it is a complete makeover of a property or enhancing a problem area. 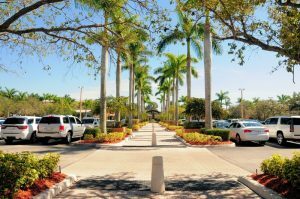 Our designs are based on the Florida-Friendly Landscape Principles so your new landscape is both pleasing to the eye and the ecosystem. This valuable knowledge results in beautiful landscapes that continue to look and grow their best consistently. 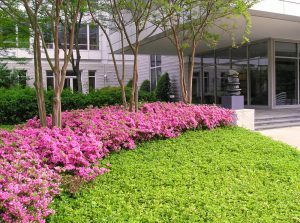 Whether your desire is for a tropical oasis, natural and native, contemporary or many other options, we can design and create to fit your preference and budget; and using the Florida-Friendly Principles supports lower maintenance costs with less irrigation demand, reduced pest threats and simpler yet more effective fertilization requirements. Potter’s Lawn & Landscaping employs a team of full time, experienced landscape installers and never hires subcontractors. This allows us to provide our customers with the highest quality products and very competitive prices. Our crews are licensed and insured and very professional.